1 Kings 19:12 After the earthquake came a fire, but the Lord was not in the fire. And after the fire came a gentle whisper. When I have a lot on my mind, I will drive to work in silence. I have about an hour commute, so I spend it sending “arrow prayers” to heaven for “my people”… a sick child, an overwhelmed high school senior, a friend in need, a mom with concerns, wisdom for my husband, my unbelieving co-worker…and on and on. I pray for two reasons. It helps build my trust in my Lord and it helps me to stop worrying. This morning’s loooong commute was a one of those days, and upon arrival I had to grab and go to make a meeting. I had a lot to carry and was quickly over loaded. I lost my balance. Leaning forward to re-adjust my load, I saw it…..plastic and green it was laying there on the ground before me. Someone had dropped a small prayer card. Smiling, I picked it up, shoved it into my pocket and figured I would read it later. Sitting at my desk, I began my daily email ritual when I heard a text ring in. It was from one of those friends I had been praying for. She is stressed. She is worried. She is a mom. She is trying to let go and let God. She is trying to trust Him with the outcome of something that she would prefer to micro manage. (I get that, I am the same way). Ah yes, just in time…a lesson about trust. 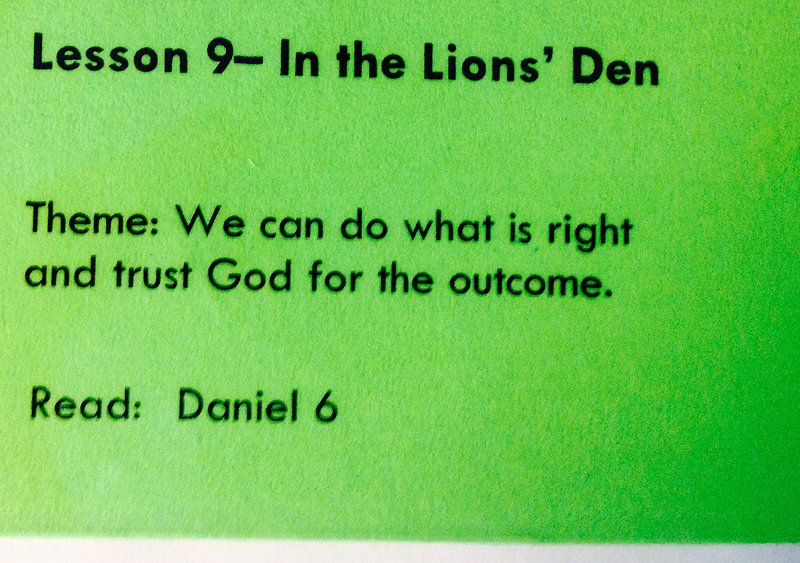 Daniel was thrown into the lions den. (read Daniel 6 here). He could have screamed for mercy from his captors. He could have denied his faith and yielded. He could have tried to take control and tame the lions…but he didn’t. He waited on God. He trusted Him. He let go and let God… and God shut the lion’s mouth. Scripture warns us that Satan is like a lion on the prowl looking to devour us…we can easily be consumed by our worries…and that is when the lions show up. We are so busy fretting and controlling, that we dont stop to notice them creeping in. AND we dont stop to call the lion tamer…God. He is always close by, we just need to tune in. You know, I could have walked right past that little card today. I could have seen it and ignored it. But I didn’t. Why? Because God wanted me to see it – He knew about my heavy heart. He knew about my friend’s struggles. He was busy whispering to me this morning. 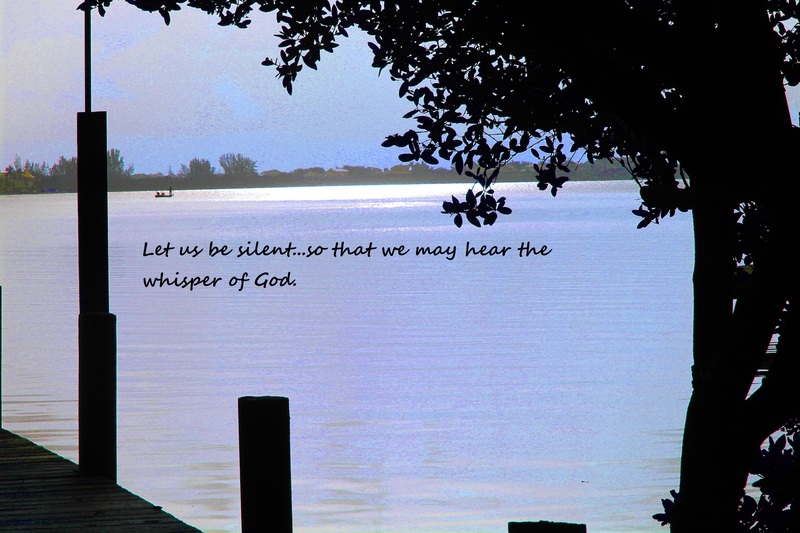 He does that for all of us….and all it takes for us to hear Him is to lean forward….and listen.